If Bitcoin is an old-man-blockchain who is stuck in his ways, than Ethereum is his rebellious child who believes in a more dynamic and inclusive way of how a blockchain should be. Ethereum created a more robust blockchain to Bitcoin, allowing developers to create their own digital value and agreements through smart contracts, and now hosts the majority of the altcoin market. Platform development, property ownership, and futures. Enables developers to design and issue their own cryptocurrency. Has proven to be a robust, trustworthy, and revolutionary platform. Supports 70% of altcoins that are available on the market. Ethereum uses smart contracts for participating parties to secure agreements between one another. 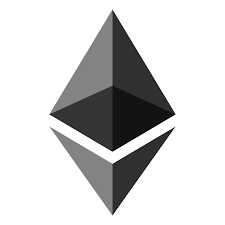 The Ethereum Virtual Machine is used to monitor smart contracts by killing off any untrusted code. Through the use of smart contracts, organisations are governed by a decentralised robot rather than any single authorities. Vitalik Buterin is the popular programmer, journalist, and inventor of the Ethereum platform. Buterin worked at Bitcoin magazine in the early days of crypto but was dissatisfied with Bitcoin’s inflexible code and so invented Ethereum. The Enterprise Ethereum Alliance is a non for profit organization comprised of members from notable startups, research groups, and fortune 500 companies. Interested parties testing the Ethereum network include Microsoft, IBM, and JP Morgan Chase. Ethereum has many potential real-world use cases. The platform enables developers from a diverse range of industries to build their systems upon the Ethereum blockchain, and is a popular choice for developers to raise capital through initial coin offerings (ICO’s), as it is widely accessible for investors on popular exchanges. Ethereum already has notable partnerships and interest from big industries that promise further adoption of the Ethereum network in the future. Ethereum will start to face competition from alternative Smart Contract platforms, namely the Chinese platform NEO. As Ethereum gains in popularity, it also runs into issues with scalability to meet growing demand. If Ethereum is unable to address this, it may lose it’s users to more advanced competition. Ethereum’s code has shown vulnerability in the past and has been the subject of hack attacks, resulting in a loss of public trust. Plasma, is a project in development that will allow for transactions to be processed off the blockchain. Sharding, is a solution to group nodes into sections to split the workload of processing. The Casper Proof Of Stake program, is a solution to help make the Ethereum Blockchain more secure. The development of the Ethereum network is a slow process. No specific dates have been set for completion, although the work is ongoing. Ethereum revolutionised the crypto market with it’s network that supports the creation of the majority of the altcoin market. Simply anyone who is invested in an Ethereum based altcoin is subsequently relying on the value of Ethereum’s network. This Ethereum review must mention the major issues still to solve if it wants to continue on the top of the crypto market. However it has a lot of support behind it as well as some of the most brilliant minds in the industry. Ethereum is certainly a revolution with the potential to continue to change the cryptosphere and the world.